This is a sponsored post from Family Christian. Post contains affiliate links. Knitting is one of my favorite hobbies. Most places I go, you can find my latest knitting project accompanying me. 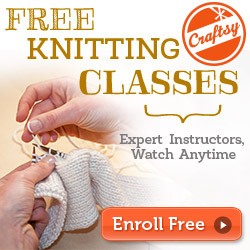 I find knitting to be relaxing, challenging, and a conversation starter. You can often find me knitting gifts for family and friends for various holidays and celebrations. I was thrilled when I saw that Family Christian also carries some yarn. 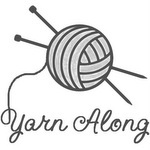 I often leave the house to buy yarn, but it is wonderful to be able to order it from the comfort of your own home. The various types of yarn I purchased include Cotton-Ease, Nature's Choice, and Wool-Ease Thick & Quick yarns. 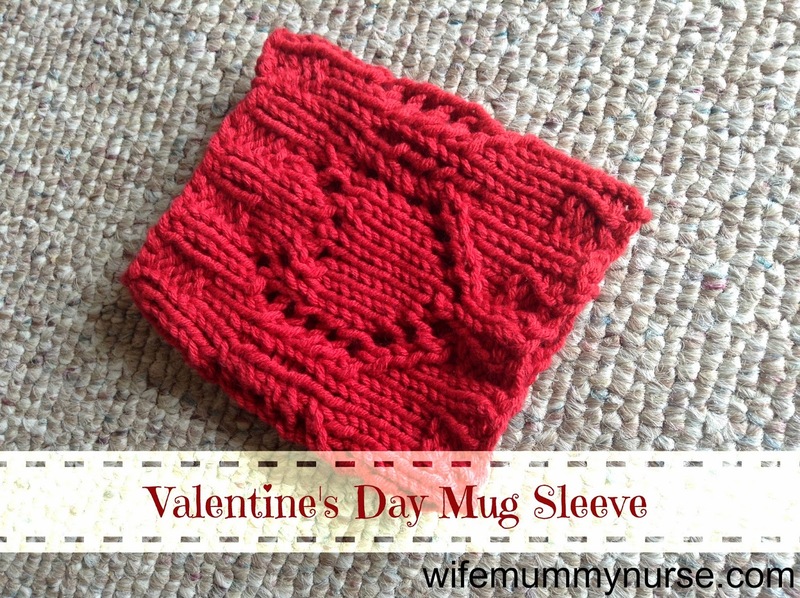 With Valentine's Day approaching, I decided to come up with a heart mug sleeve pattern to knit a loved one this February 14 or any time during the year! I find the cardboard sleeves that most companies place on coffee cups wasteful and small. I wanted my sleeve to be long enough to fit a 12 oz. coffee from Starbucks perfectly, and it did! 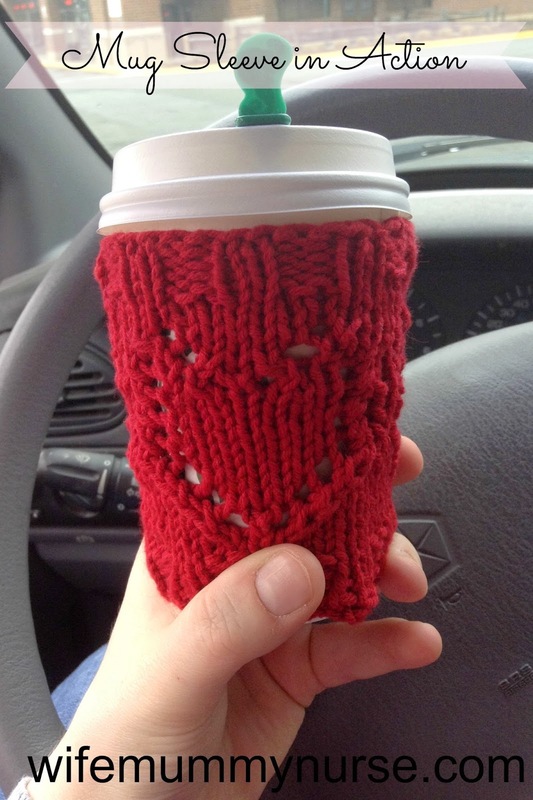 have a cozy to keep it warm. With Cotton-Ease Yarn in Cherry using size 5 circular or double pointed needles. Cast on 36 stitches. Join in round. From Rows 7-23, knit ALL even rows. Row 7: (Knit 3, K2tog, YO, K1, YO, SSK, Knit 4) X 3. Row 9: (Knit 2, K2tog, YO, K3, YO, SSK, Knit 3) X 3. Row 11: (Knit 1, K2tog, YO, K5, YO, SSK, Knit 2) X 3. Rows 13, 15, 17: (K2tog, YO, K7, YO, SSK, K1) X 3. Row 19: (K2tog, YO, K1, K2tog, YO, K1, YO, SSK, K1, YO, SSK, K1) X 3. Row 21: (K2tog, YO, K1, YO, SSK, K1, K2tog, YO, K1, YO, SSK, K1) X 3. Row 23: (K1, K2tog, YO, K5, YO, SSK, K2) X 3. Rows 26-29: K2 P2 ribbing. Plus, my readers are able to enter to win a $10 Appreciation certificate from Family Christian! Just enter below via Rafflecopter. certificate in exchange for this post. I think I would buy the Amazing Grace stamp from Our Daily Bread.